A little while back, I shared a sneak peek at a project I was working on. 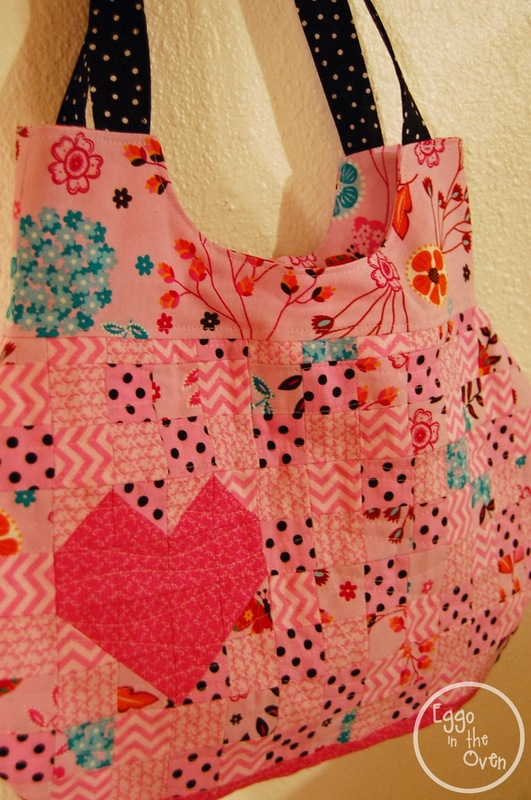 With a simple sketch and some pretty fabrics, I started sewing. I cut strips that were 1.5" wide and sewed them together, cut them apart, and sewed them together again - working toward 1" squares in a mix-and-match patchwork design. But I wasn't loving it. You see, this project is a special one. A friend of mine's mom is fighting breast cancer - - - she is currently undergoing chemo and this project is for her. So this couldn't just be "okay".... I needed to LOVE it. So I thought a bit more about my fabric choices.... and pulled a few more pinks. Setting aside the strips I had already pieced together, I got to work again. 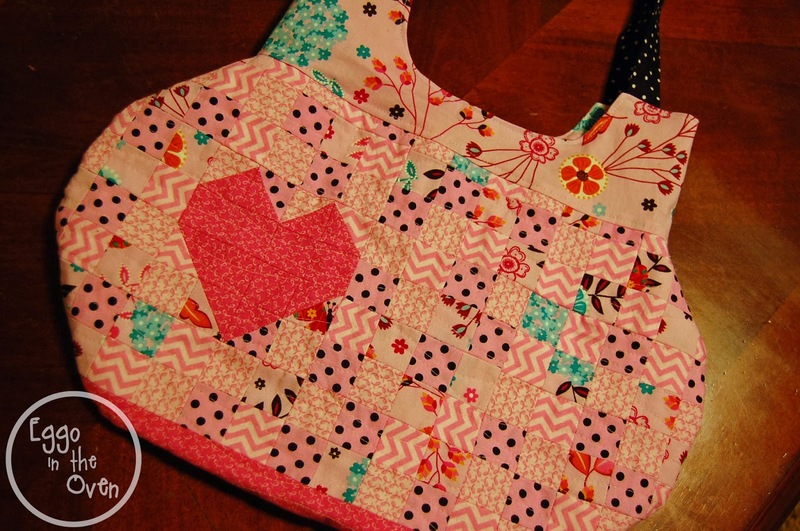 The finished item is a quilted tote bag. 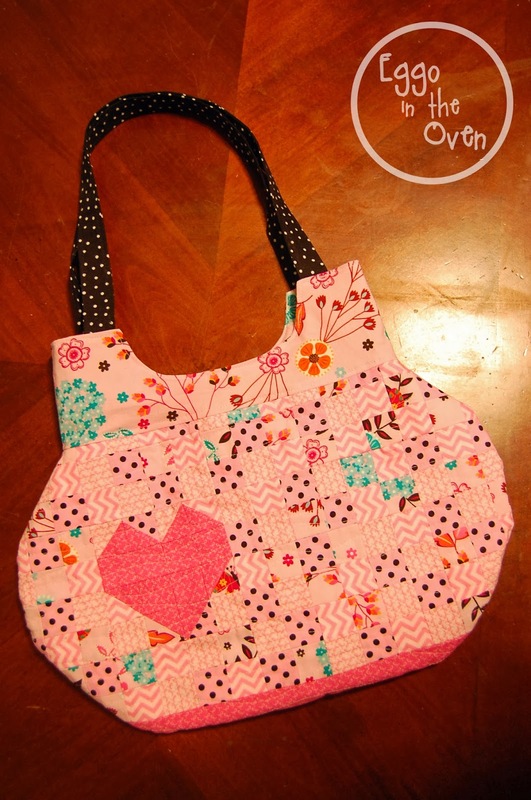 I used a variety of lighter pink-based fabrics for most of the bag - and used a darker pink ribbon fabric to piece together a heart shape for the front. 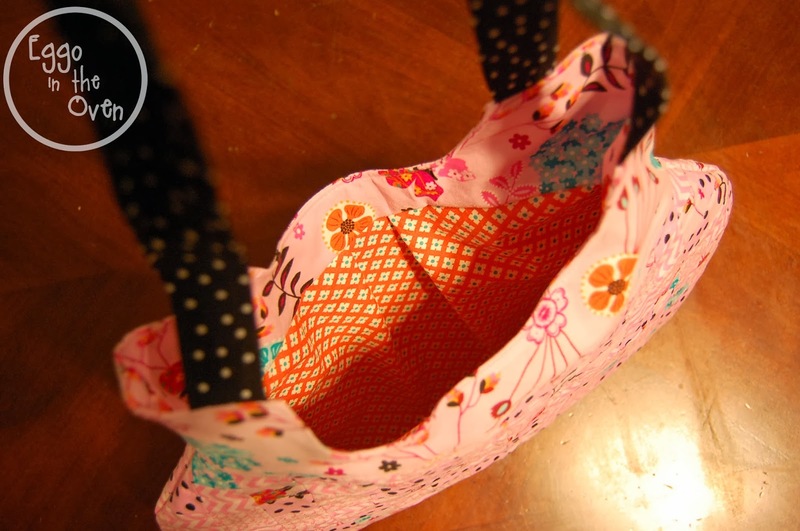 I quilted simple squiggly horizontal lines through the body of the outside of the bag. The bag is definitely fully reversible. 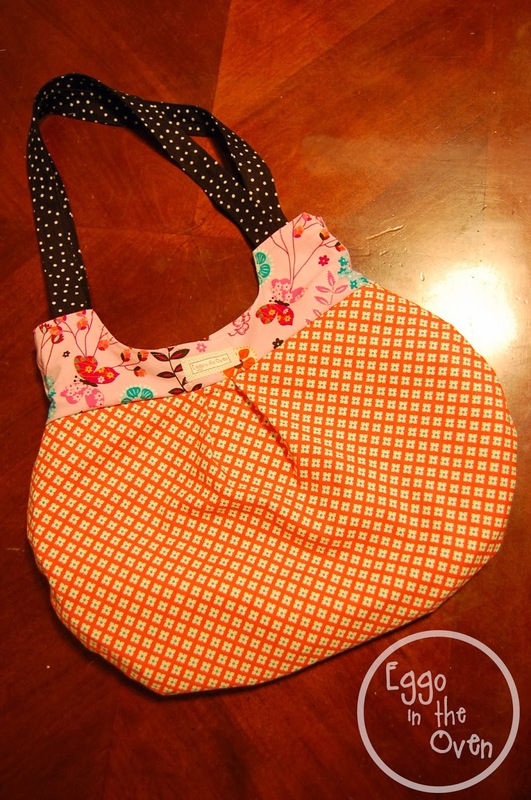 The body of the "outside" of the bag (the patchwork / quilted part) is lined with flannel to give it a little more body and to allow me to quilt it with a bit more texture. Oh... and those original 1" squares? 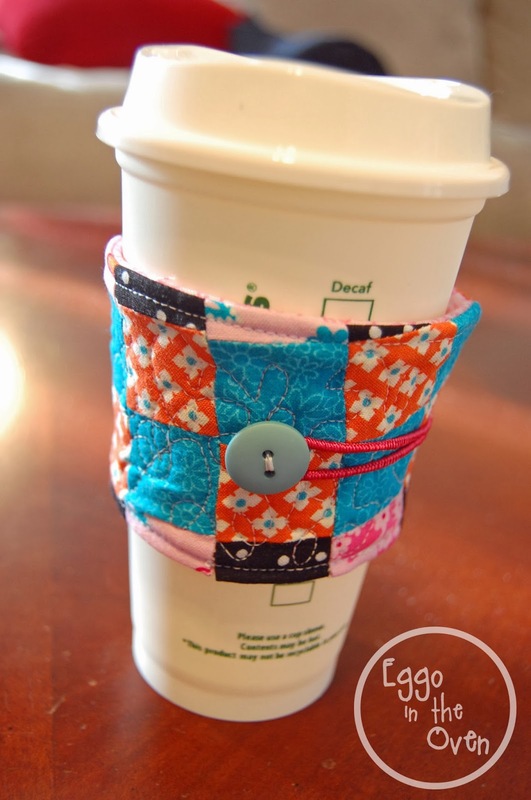 Instead of setting them aside for "another day" - I used them to make a quilted coffee sleeve. My mom has had a few friends go through chemo, and they say their fingers get REALLY temperature sensitive - which makes it hard to drink hot coffee / tea, or cold sodas, etc. I thought a coffee sleeve might be a nice little addition to this care package! Wishing my friend's mom all the strength and perseverance it takes to fight this nasty cancer... and hoping they feel surrounded by the love of family, friends, and complete strangers.